Wishing you all a safe, successful, and happy New Year filled with love, joy and peace. If you have any questions about your trip to Sardinia, don’t hesitate to send me an email. Just click on the contact tab at the top of the page. See you in Sardinia my friends. Sardinia is still in shock from the deadly storm Cyclone Cleopatra which devastated the island on November 18th, 2013. Entire communities are gone, livelihoods which took decades to build are destroyed, entire road systems and bridges washed away in the raging tide. Six months of rain slashed Sardinia in less than twenty-four hours, 400 millimeters of rain washed away lives, hopes and dreams. A national day of mourning as been declared in Italy as residents come to grips in what has become one of the largest natural disasters to ever hit the Mediterranean island of Sardinia. Islanders from all over Sardinia have come together to help those in need. Drop off centers for donating goods have sprouted up in every town across the island. Here’s how you can help rebuild the lives for the people of Sardinia. The following links are in Italian – if you need help translating or have any questions then please leave your comment below. The city council of Olbia have set up an emergency relief fund after the devastating floods on November 18th, 2013. Sardinia is still in a state of shock and 17 people have lost their lives in one of the largest natural disasters to ever hit the Mediterranean island of Sardinia. If you have any questions on how to help in the relief efforts please leave a comment below. Sardinia and her residents thank you. Ten of us gathered for a late afternoon brunch at a friend’s house in West Bay, Grand Cayman, Cayman Islands. Brunch is a BIG thing on the island and it’s the day most people look forward to. Some head out to expensive and posh hotels to drink expensive champagne which has been spoiled with orange juice. And others … like the Italians, meet with friends, inside their homes. 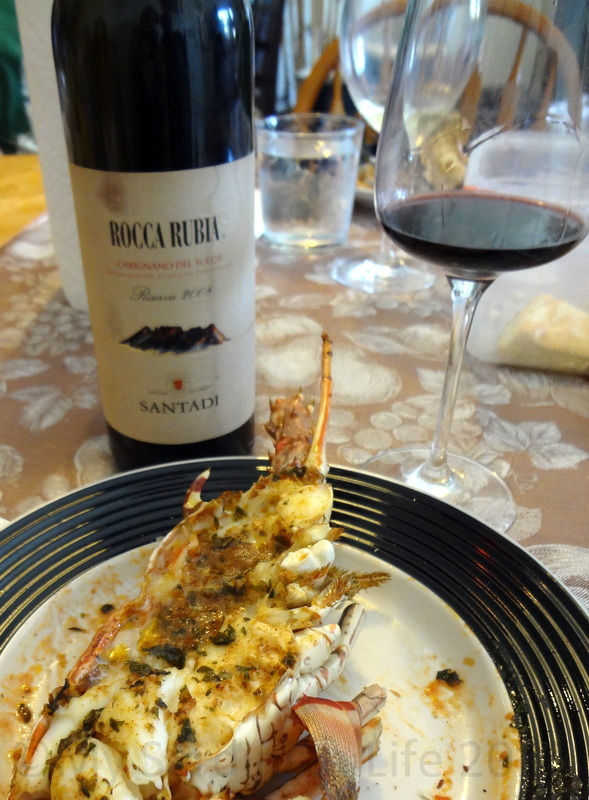 We sip beautiful earthy reds from the Mediterranean mountains of Sardinia and dine on locally, fresh caught Cayman lobster. This is where the Mediterranean meets the Caribbean. Life is pretty exceptional when you mix two worlds. What are your Sunday traditions? Sardinia is known for its long summer, turquoise coloured warm waters, 200 days of sunshine and an average yearly temperature that will melt any Canadian’s heart. So, when is the best time to visit this magical island in the Mediterranean? Let’s break the year up into groups of four to see what it really looks like in Sardinia. These three months are the coldest, wettest and most windy of the year. Locals busy themselves collecting wood to keep them warm during the drabbest months of the year. This is my favourite time of year in Sardinia, the birds are singing and the town is filled with smiling happy people and the temperatures are warm enough for jeans and a t-shirt. It’s also the time for my favourite Sardinian festival of the year – Cavalcata Sarda. These three months are undoubtably the hottest and busiest of the year. The sun is shining all day, every day and the beaches are filled with global beach goers. It’s the perfect time to chill seaside with the perfect novel. October and November are iffy months. We’ve been known to spend an afternoon on the beach in November while the following day is filled with thunder, hail and lightning storms. When will you visit Sardinia? Sometimes in life, you need a dart, a dart board and some courage. The board is there to make the final decision. Your only requirement is to throw the dart. There are a myriad of options why one never throws the dart. There are limits to our logic. Most of the time we spend holding the dart, afraid to throw it, afraid of what the board will tell us. I’ve held my dart for far too long. It’s time to let go, time to focus on the dream. Time to travel. The time is now. One way or another a life changing event will unfold. Again. Just do it. It’s not the first time nor will it be the last. But … but … packing up and moving again. Do I have it in me to culturally, emotionally and spiritually open myself up to a new country … again? The dart flies out of my hand, through the air, swoosh. Eyes closed and heart pounding. I … can’t … believe … I’m … doing … this … again! I’m nuts! Totally nuts! ***Post orginally written in October 2011. February 2012 we’ve been hit with snowstorms and blizzards for a week. Check out my most recent posts on the snow in Sardinia. 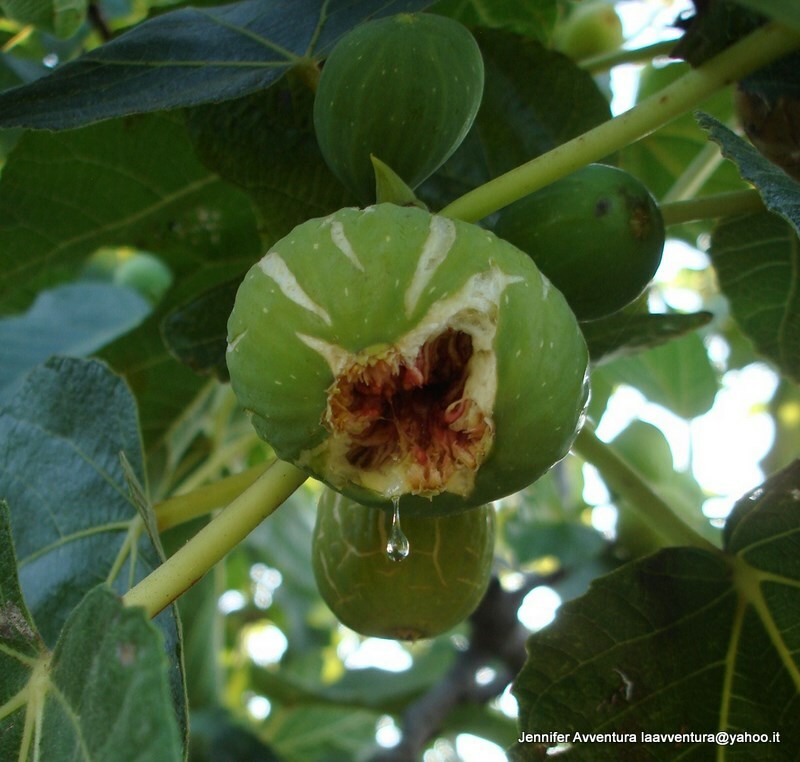 The edible fig is one of the first plants that was cultivated by humans and is known for its edible fruit throughout the Mediterranean and Middle East. August and September are prime picking months for the fig in Sardinia and we’ve come home with bucketfuls.